☆ MCR ☆. . Wallpaper and background images in the My Chemical Romance club. 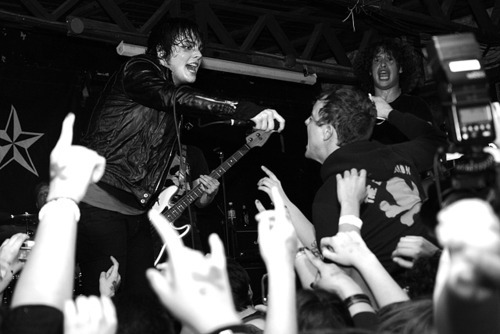 This My Chemical Romance photo contains konzert and gitarrist. ray,what is wrong with your face dude??? My Chemical Romance Behind-the-Scenes at Jimmy Kimmel Live!